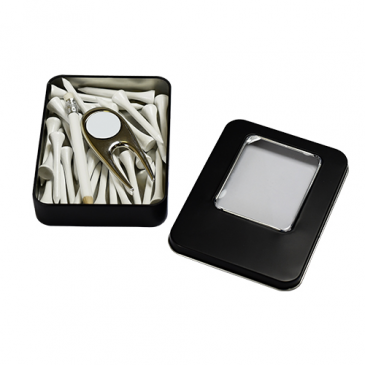 Our Rectangular Black Matte Tins feature a clear window that allow for easy viewing of the contents. Perfect for storing all your small golf accessories and includes a slick design pitch repairer made from polished nickel which is sure to impress. Tin - 85mm x 115mm x 20mm high lid off.